Fine particulate pollution has been a growing problem in recent years for large cities, due to the ever increasing volume of traffic. The city of Munich would like to counteract the problem by starting with the taxi industry. The goal is to establish electric taxis in the state capital. A fitting concept has been developed by the startup TeXi. The TeXi team includes four founders. A notable factor is that thousands of miles lie between the members of the team. The founders, Moshe Ushpiz and Hans-Peter Huber from Munich and Nika Noy and Ofir Kalo from Tel Aviv, met in the Bavarian Israel Partnership Accelerator program, BIPA for short. The program is organized and run by the Strascheg Center for Entrepreneurship (SCE), the Munich University of Applied Sciences, the FOM University of Applied Sciences, the Tel Aviv-Yaffo Academic College and the StartHub. The project is being funded by the Bavarian Ministry of Economic Affairs and Media, Energy and Technology, the Consulate General of Israel and the Department of Labor and Economic Development of the City of Munich. The goal is to bring German and Israeli founders together to develop and promote innovative business concepts. 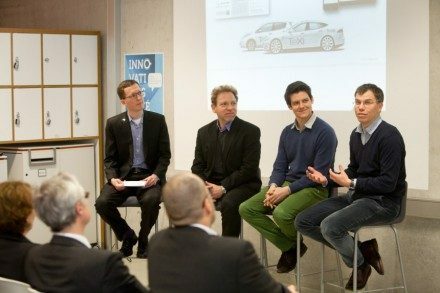 Morten Edzards from SCE, Moshe Ushpiz, Hans-Peter Huber (both in Team TeXi) and Roland Hösl from the city of Munich at the BIPA final event (from left to right). 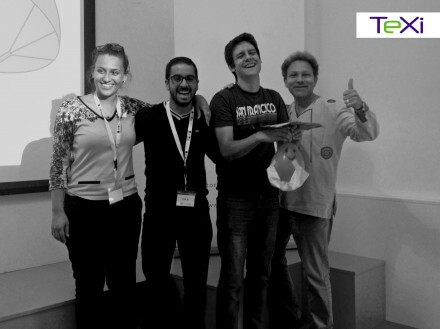 They first got to know each other during a nine day workshop at WERK1 in Munich, which was supervised by mentors. And so the TeXi idea was born. During the period that followed, the team needed to work in a way that was as structured as possible while also overcoming the spatial distance as best they could. Frequent chats and video conferences made it possible to communicate on a regular basis. One of the team’s major advantages was that Moshe, who has lived in Germany for 13 years and conducted entrepreneurship courses at SCE, is originally from Israel, which allows him to act as the ideal connecting link between cultures. What are the differences between German and Israeli founders? So how should electric taxis become more attractive for passengers and drivers? The founders are counting on an image makeover and on support from the city of Munich. When the e-taxi revolution is set to launch in Munich is not clear yet. However, the topic is of top priority for the city. 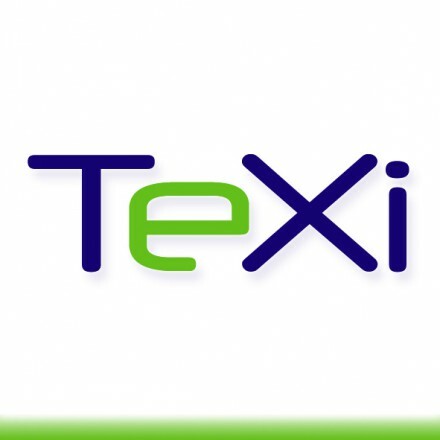 TeXi plans to continue to refine their concept while looking for investors and new partnerships to make some major changes in the taxi industry of the future. We wish you the best of luck and are already excited to take our first TeXi ride.